Are you constantly struggling to get your eyebrow on fleek? Well, thanks to Veet, your nightmare will be over! Hair trimming now a breeze with the world's No.1 depilatory brand new beauty gadget Veet Sensitive Touch. We were invited to the Veet Sensitive Touch workshop recently, to learn a trick or two on the new gadget which was held at The Talent Lounge. Heavy workloads and crazy deadlines, life has been pretty stressful recently. As soon as I get home, I am really looking forward to indulge myself with a good shower bath before retire for the night. Thanks to the bare body care range, I could relax myself and unwind with the best scent to indulge my senses plus re-energize my body. A good deed brighten a dark world. These days not many companies still preach and practice corporate social responsibility. One of the greatest things we can do in life is to reach out and do a good deed for another human being. A round of applause to MONSPACE Multinational Corporations for its recent contribution of a vehicle to StJohn's Ambulance Malaysia (SJAM). 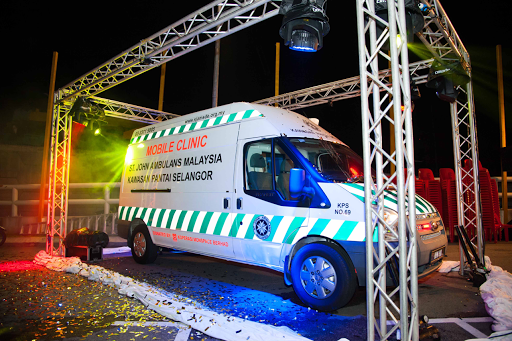 I was honoured to be invited to witness the handing over and official launch of the mobile clinic at The Earth, Bukit Jalil, two days ago. 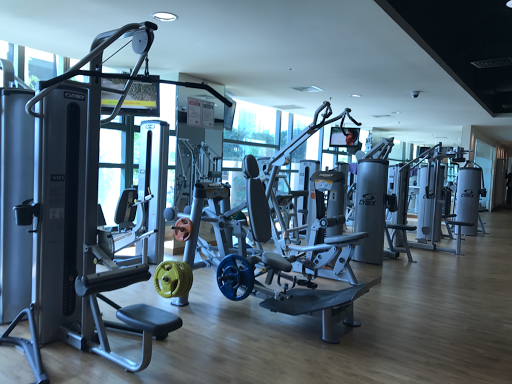 Elements Medical Fitness strategically located in the heart of Kuala Lumpur is not your typical fitness center. Malaysia's first medically integrated health and fitness centre based on the principle of functional medicine, the center is administered by certified doctor with professionally designed programs in the pursuit of well-being. Experience 360° approach to health at Elements Medical Fitness, the one-stop health & fitness solutions from health screening, integrative medical programs to personalize fitness programs. Hey! Following up my previous post on my mom hearing difficulties, literally, for the past few weeks I was out and about searching high and low for hearing aids and finding the best solutions for my mom. 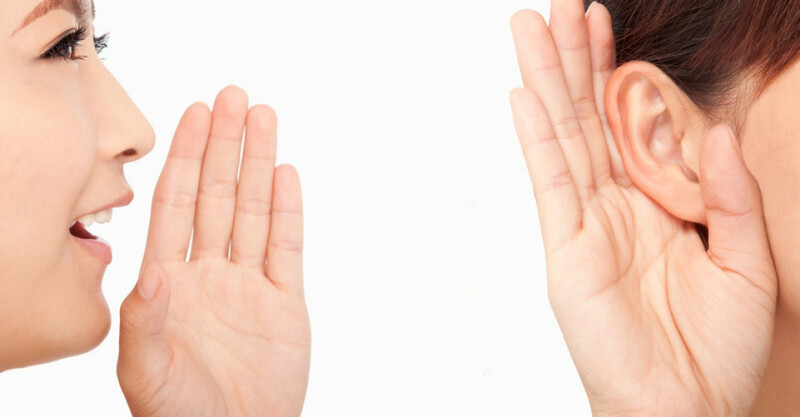 Apparently, hearing loss, the two common words we often hear may not be accurate in interpreting its true meaning. Did you know hearing loss actually happen when the sound signal did not reach the brain, thus affecting hearing? 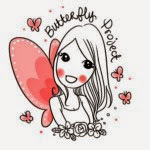 The condition can come in many forms ranging from mild, moderate, moderate-severe, severe or profound. 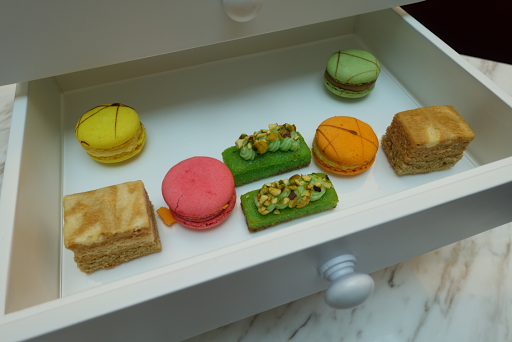 One of YTL's latest luxury hotel, Hotel Stripes an Autograph Collection Hotels has opened its doors recently in the downtown of Kuala Lumpur. 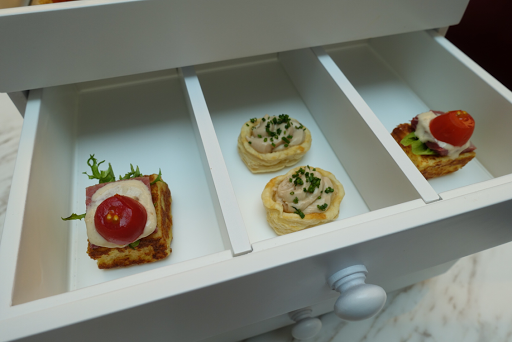 We were very honoured to be invited to preview its casual French dining restaurant, Brasserie 25 which is located at the lobby level of the hotel. Greetings from the green forests of Genting Highlands. Are you are a stressed out urbanite in need of some downtime or simply a weekend warrior in search of some adrenaline rush? You ought to check out Fashion Forest for the best of nature at your doorstep! 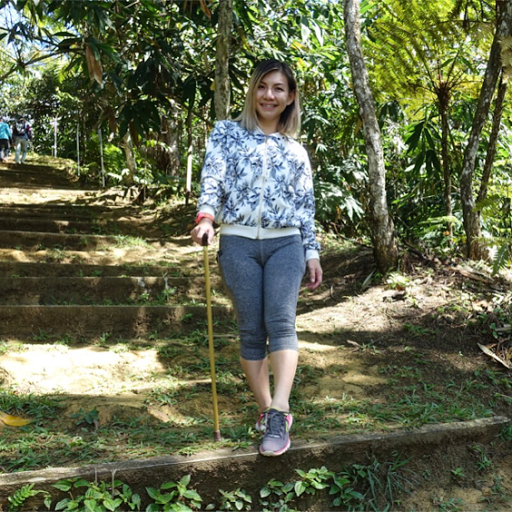 Discover the treasure trove of unique flora and fauna plus wondrous sights of straggling oak trees, exotic hornbils and rehabilitated pitcher plants in the pristine forests of Genting Highlands under the expert guidance from Treks Nature Enterprise. Considering the strong influence of social media, Treks hope participants in the programmes get to learn about nature while at the same time share on their social media platform in order to create awareness on the need to conserve it. Be the 'Eco Chic' and dressed to your nines for that perfect Insta-worthy shot. Bringing nature to nature lovers in a fashionable way, thus the name Fashion Forest is created. "Dress up and walk with attitude and with that wow factor" at the new paradigm in nature walks. 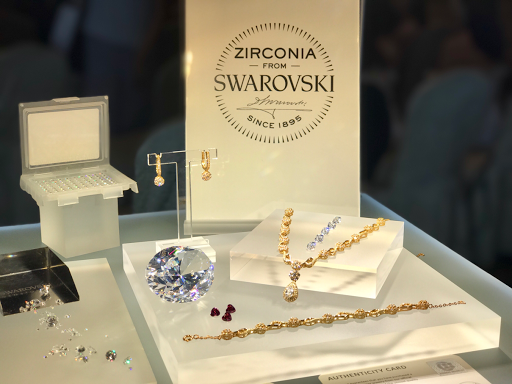 A few weeks ago, I had the honoured to witness the signing ceremony of a co-branding collaboration between HWL Jewellery Trading Sdn Bhd and Swarovski Gemstones held at Hotel Istana, Kuala Lumpur. HWL Jewellery Trading Sdn Bhd was established since 1985 carry the brand C88 and now has over 600 jewellery retail shops across Malaysia. Congratulations to CHAPS on your new store opening at Pavilion Elite! These days, fashion is more than an essential wear, but it is also a form of individual self-expression. Malaysia fashion industry has definitely become one of the most popular and sought after essences. Gone are the days of fashion styles focusing on a specific theme, instead it now ranges from diverse styles that accomodates every individual's different personality and soul. 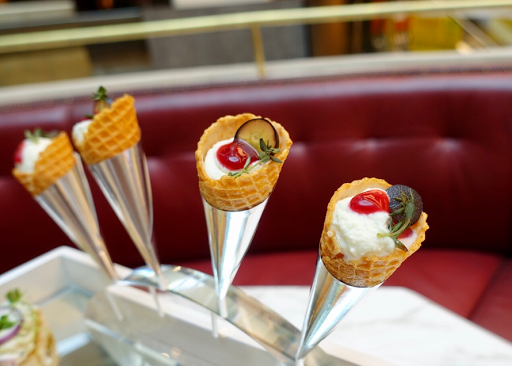 Hey, let's head up to the Resorts World Genting for a foodie adventure. For real? Yes! Apparently, Resorts World Genting latest attraction Sky Avenue has the best food experience one could ask for. Trust me, I've experienced all myself. 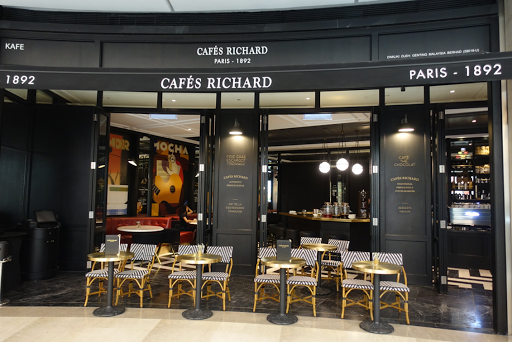 First up, we have the Cafes Richard, a classy Parisian-style cafe where you could experience the genuine French art of living whilst enjoy authentic espresso, original coffees and teas, as well as French food. 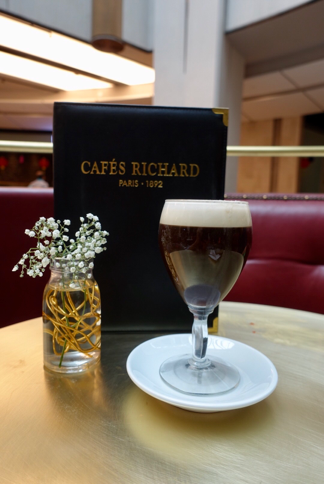 From the classic black and white mosaic floor tiles, to the cloth awning and raffia wicker chairs, Cafes Richard has meticulously recreated the quintessential Parisian cafe. 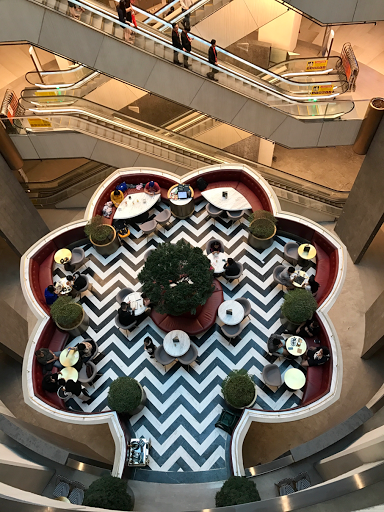 Alfresco with wicker chairs facing out to the walkway for people watching, the most coveted seats will undoubtedly be the ones nestled within a stylized fiberglass and steel Frangipani 'flower' which can seat up to 34 customers. 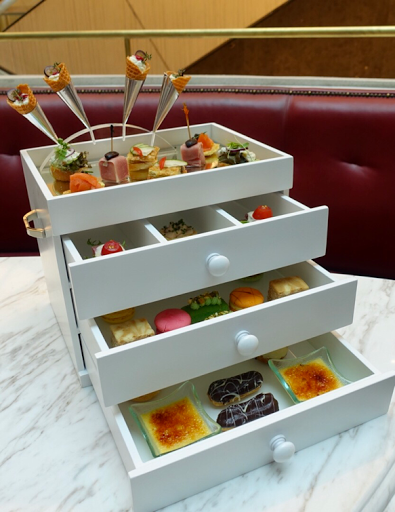 The high tea set comes with savories such as Blini with Smoked Salmon and Chive Dressing, Smoked Duck with Melon, Salted Beef on French Toast and Foie Gras Mousse on Vol-Au Vent and Cranberry Dressing that can certainly satisfy any palate. 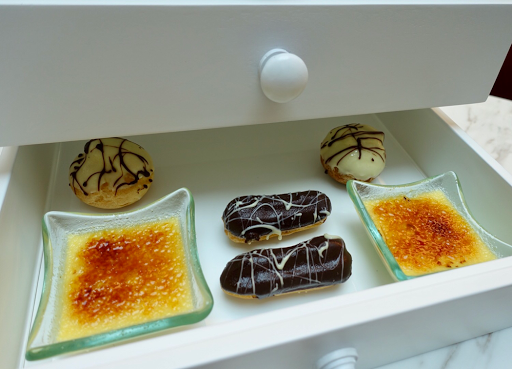 The set also includes a selection of sweets that includes Mini Eclair, Cheese Cake, Profiteroles, Fruit Tart, Pistachio Financier, Macaroons, Creme Brulee and coffee or tea for 2 person from the selection. Cafes Richard carefully selects beans from around the world to give customers the best sense of exploration and discovery. 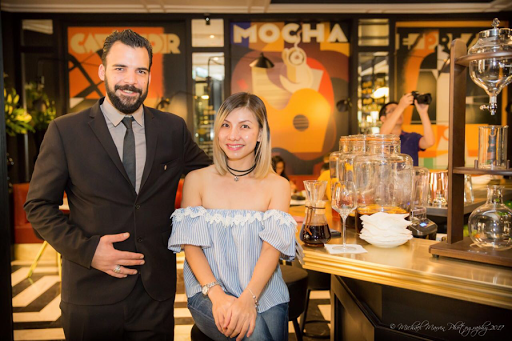 Topping the list is Perle Noir or black pearl, an exclusive Cafes Richard 100% Arabica brewed in French-style espresso iconic of the Parisian Brasseries while Massaya served as an organic espresso hails from Mexico. For those who prefer slow coffee methods such as French press, chemex, syphon or cold drip, you could choose from Ethiopian Moka Yirgacheffe cultivated in the birthplace of coffee, Costa Rica Tarrazu cultivated on volcanic plateaus, Sumatra "Orang Utan", as well as the rare and premium Jamaican Blue Mountain. Other than coffee, tea lovers could also try an extensive range of teas from black, white, green, roiboos to herbal from India, China, Sri Lanka, South Africa and even the Alps. 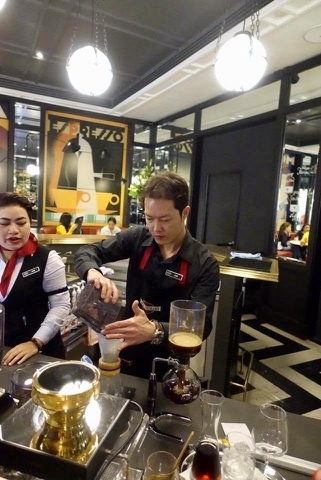 If you are looking for a twist to your cuppa, there are also coffee cocktails and tea cocktails specially concoted for Resorts World Genting, such as the French Genting, a combination of French orange liqueur, espresso and local Bentong ginger. 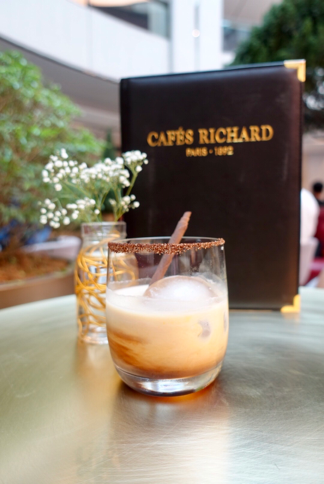 Inspired by the classic White Russian, this soothing and smooth cocktail combines Cafes Richard homemade coffee liquer with vodka and a "nuage de lait" (cloud of milk). The perfect dessert treat, it was strong in flavour and alcohol content. Warm and satisfying traditional Irish coffee, this is the perfect marriage of the famous Calvados and a rich coffee topped with a smooth and unctuous cream. 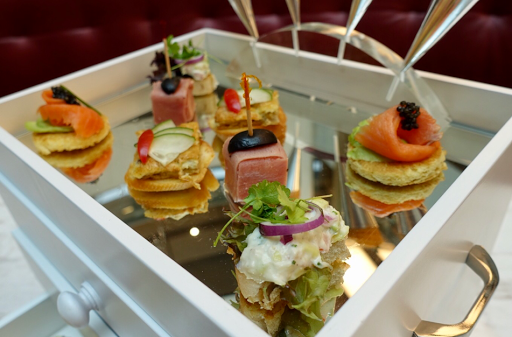 An opportunity to experience the Paris's famous cafe culture minus the hefty air ticket and long hours of flight. Why not right? 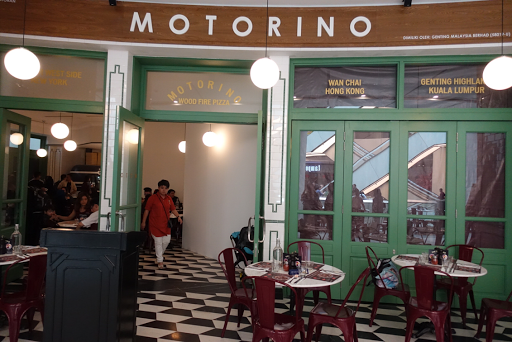 Motorino, a Brooklyn and East Village highly raved pizza place also makes its debut at Sky Avenue, Resorts World Genting. 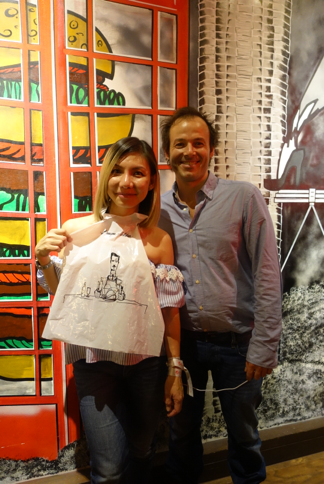 Famed for its best authentic Neopolitan Italian pizza restaurant in New York, it was owned and operated by Belgian-Italian born chef Mathieu Palombino who makes Neopolitan-style pizza in wood ovens imported from Italy. 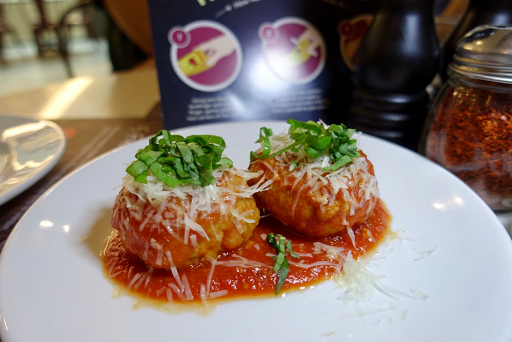 To date, Motorino has multiple outlets in New York, two in Hong Kong and Manila, one in Singapore and its first restaurant in Malaysia. 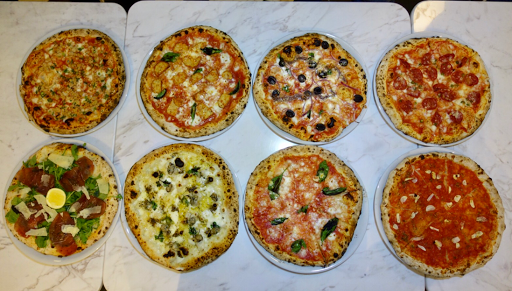 There are 9 types of pizza flavours available namely Marinara, Magherita, Amatriciana, Meatball, Pepperoni, Del Popolo, Arugula & Bresola, Heirloom Tomato Pizza and Cheese Stone Clam. You could also pile on your pizza with over 20 toppings that can be added on to existing pizzas, such as Brussel sprouts, two kind of anchovies, fresh arugula, buffalo mozzarella and fior de latte (fresh mozzarella made with cow's milk) along with other more conventional ingredients including turkey, pepperoni and clams. 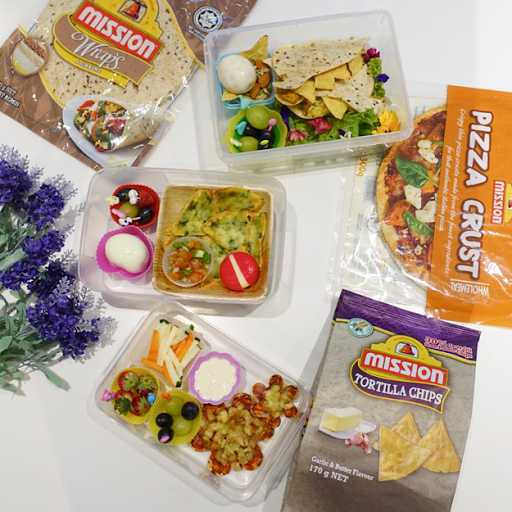 Pizzas price range from RM45 to RM67 for a whole pie. The most eye-catcthing feature of the restaurant will be the two large pizza ovens which were shipped in from Naples in Italy with customised pizza spades fabricated as decorations. These oar-shaped paddles traditionally made from one single piece of wood will also be used in the making of the pizzas. Patrons will have the opportunity to watch the entire process of the making of the famed Motorino pizzas in a comfortable dining experience. 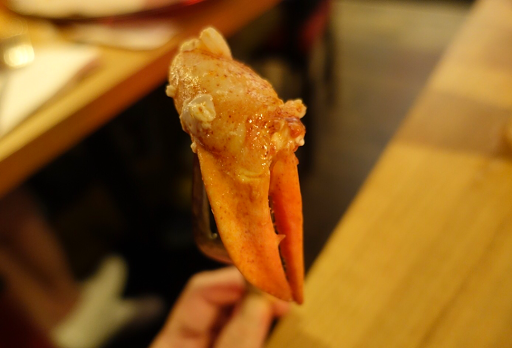 Being a seafood lover, this is my favourite! 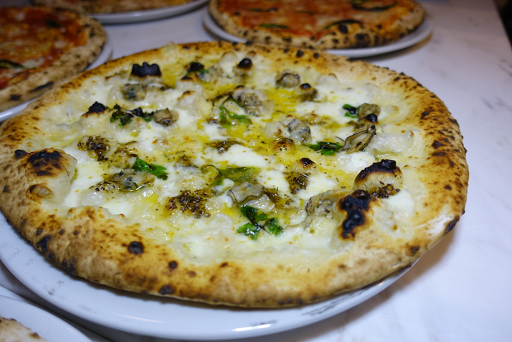 Crispy thin crust pizza generously topped with mozzarella cheese, oreganata butter, clams and parsley. Sweet and tangy, this is simply addictive. 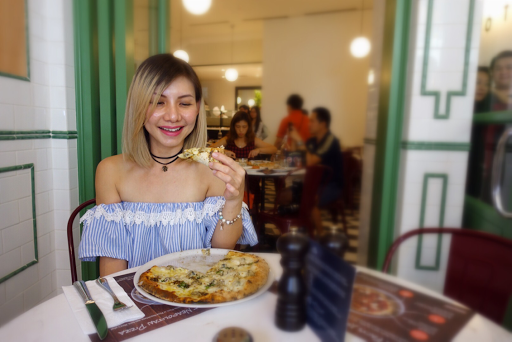 For the best pizza experience ever, this is the perfect place to get your craving fix! 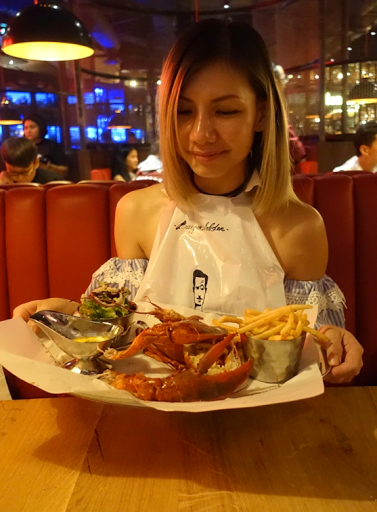 Last but not least, the famed UK-chain Burger & Lobster that has finally opened its first Asian restaurant in Malaysia. 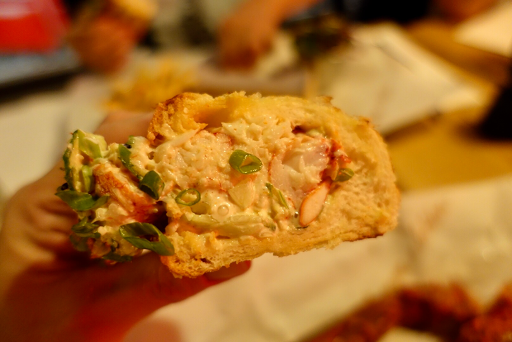 The restaurant was founded in 2011, specialising in a limited menu of only burgers and Nova Scotian lobsters. 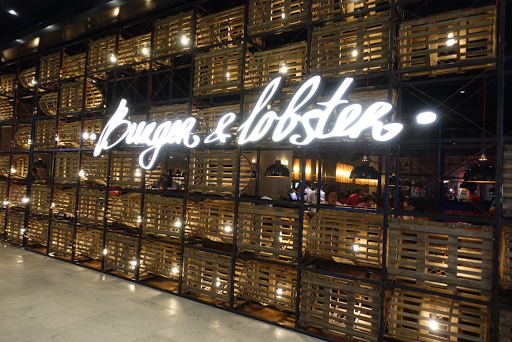 Diners will be in for an eye opening experience of being submerged in lobster paraphernalia as one portion of the whole wall of the restaurant are literally decorated with 104 traditional lobster crates, replicas of the ones used in Nova Scotia. Old oak and aged vitreous ceramic Portuguese tiles reference the low-light interiors of taverns where off-duty lobstermen warm themselves. 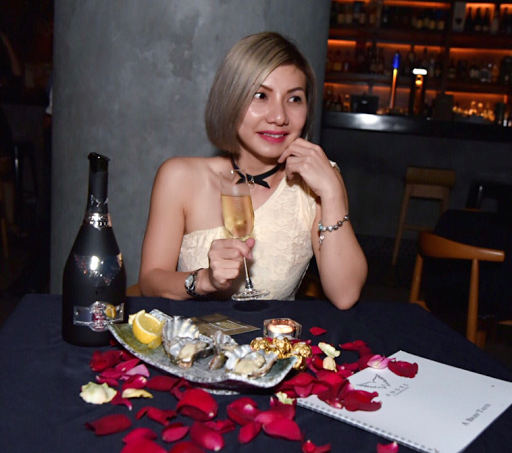 The restaurant could seat 150 persons, a mix of dining banquettes and booths with mellow lighting. Did you know it also offer a spectacular view of the new Twentieth Century Fox World theme park when it opens? When the theme park is completed, the restaurant will be large enough to accomodate up to 170 diners with the addition of an alfresco dining area. 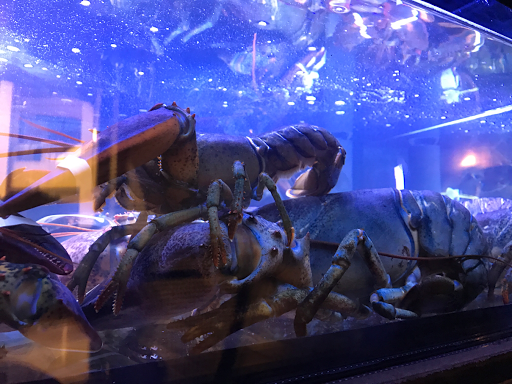 The premium fresh Wild Live Lobster each weigh 650-700g is air flown weekly from Nova Scotia, Canada. 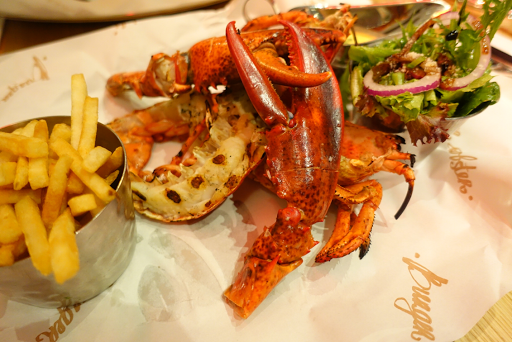 Each order comes with chips and salad with a choice of clarified butter or B&L's famous lemon and garlic butter sauce. 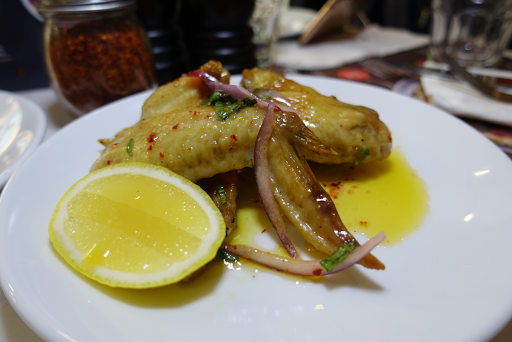 We opt for the grilled version and it was brilliantly done, so juicy and succulent. 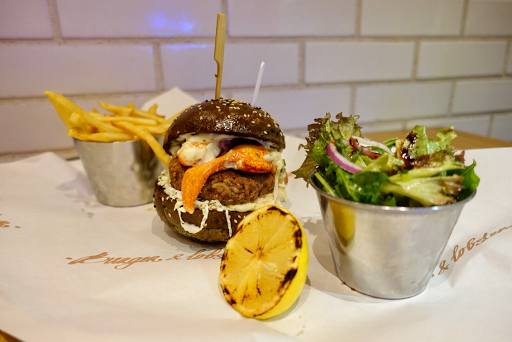 To tantalize the Asian taste buds, Burger & Lobsters Malaysia has also created a spicy version available exclusively at Burger & Lobsters Malaysia. 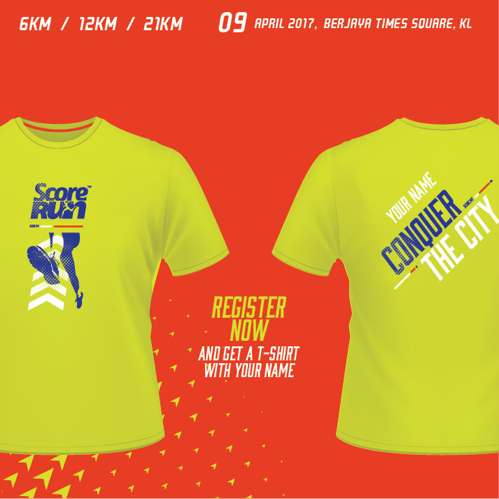 Hence, this is definitely a MUST TRY! 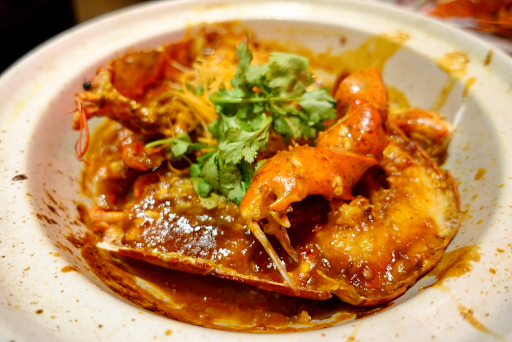 Served piping hot in a claypot, the delectable Chilli Lobster was not too fiery with a good balance of sweet and spiciness. Oh my... look at that! Fresh and superb. Ahem... for those ladies who are on a date and doesn't want to get your hands dirty, the restaurant wait staff will be more than glad to help you with crackin the shells of the claw. How nice, right! Apart from The Original, there are 2 other option available, namely The Chilli comes with signature chilli sauce RM95 (member) / RM105 (non member) and Seven Samurai served with B&L's seven spices sauce RM95 (member) / RM105 (non member). 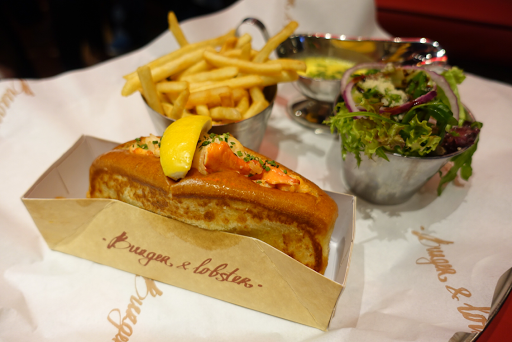 The in-house made signature brioche generously laden with chilled lobster meat and Japanese Mayonaise was incredibly good. Highly recommended! In-house made baked sesame seed brioche bun sandwiched with 100% Australian beef patty, beef bacon, cheese, lettuce, tomato, house made pickles & onion topped with lobster and B&L's secret sauce. 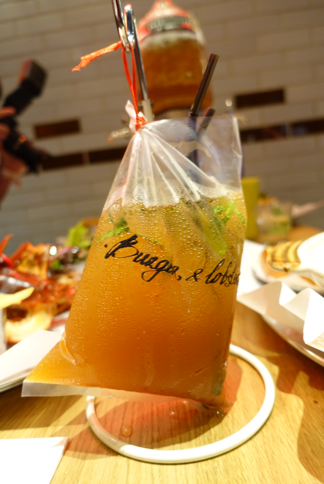 Refreshing black tea mixed with calamansi lime, kafir lime leaf and sweetened with palm sugar. A pic opportunity with the owner of Burger & Lobster, Mr Ben May. 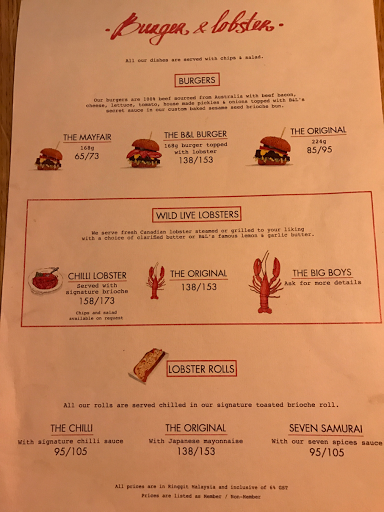 For small eater, you could indulge in bar bites such as the B&L Burger, a mini burger topped with lobster meat, Tiger Tiger (tempura prawns, spicy mayo and avocado in mini, buttered rolls) and The Classic which is a scaled down version of the original Burger & Lobster burger. 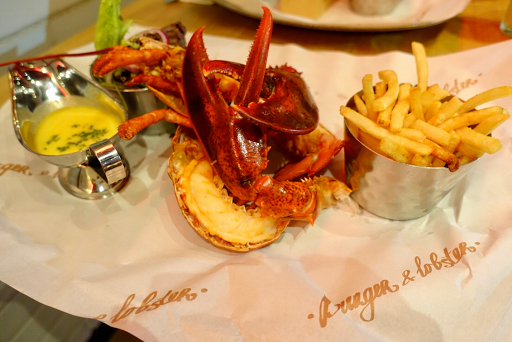 Overall, it was a great and super worthy indulgence at Burger & Lobsters. 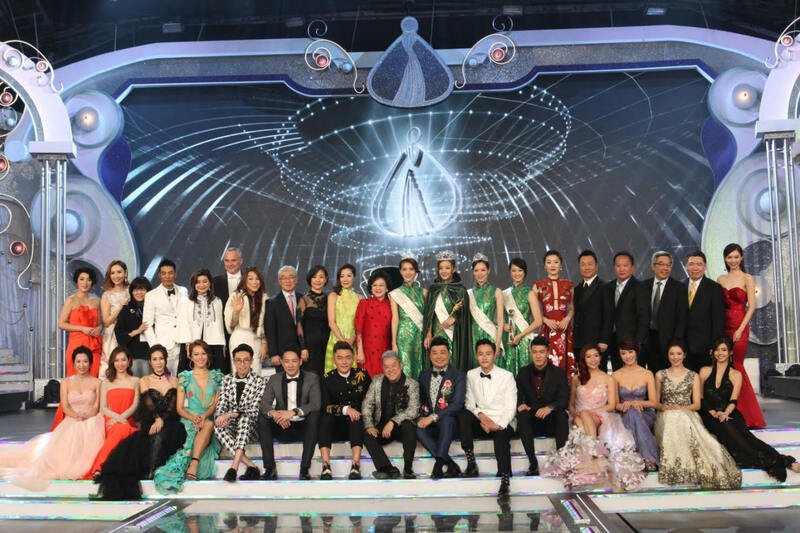 A few weeks ago, I had the privilege to attend the star studded glittering prestigious Miss Chinese International Pageant 2017 at Resorts World Genting. 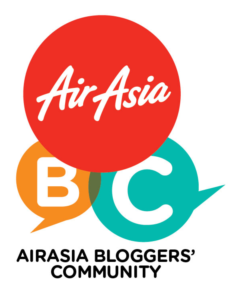 Among the big names gracing the event are Tan Sri Dato' Michelle Yeoh, Dato’ Nancy Yeoh and Hong Kong actors Simon Yam, Wayne Lai, Niki Chow and Eric Tsang. Many women think, turning 30 signals a time to truly consider the best-suited skincare for aging skin. Ohh well... in my opinion, we should start combat aging skin from as young as mid 20's. 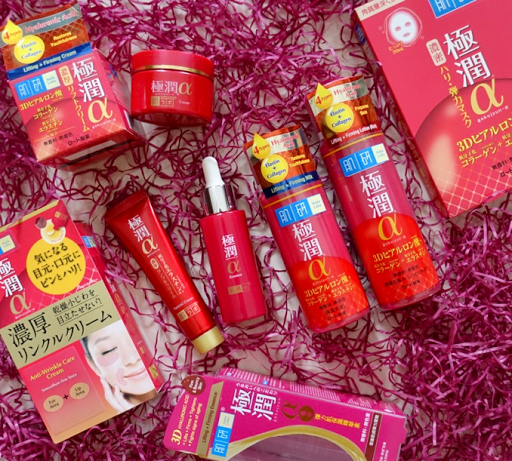 Formulated to restore youthful radiance to the skin, the new and improved Hada Labo Lifting & Firming Range targeted at skin issues such as fine lines, wrinkles, loss of skin elasticity and collagen. 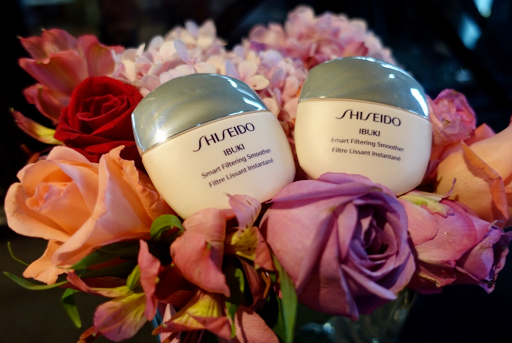 The improved formula works from the epidermis layer to realize youthful skin with firmness and resilience. Hey, babes! Are you tired of leaving lipstick stains everywhere? Glass, cup or even your other half collar. :p Or after a long day, your perfectly-applied lipstick starts to wear off. It's so annoying, right! Thankfully, I was introduced to Kose Lip Gel Magic that makes any lipstick transfer proof and stays magically. 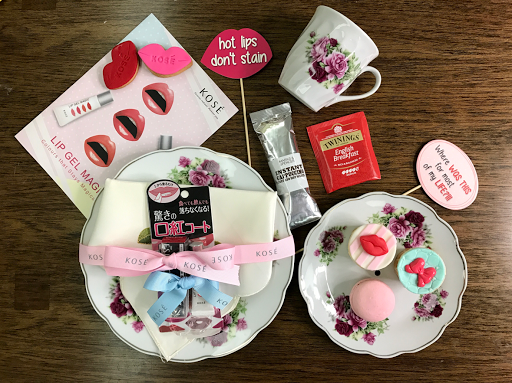 Kose Lip Gel Magic is here to save the day! Trust me, it is the most powerful lipstick coating gel. With only one single swipe, this maximum-strength lipstick top coat gel protects the lip colour from fading, even after drinking or eating. It is also semi-opaque, fragrance-free and best part is, it's works wtih any of your lipstick to make it last longer. Gong Xi Fa Cai! 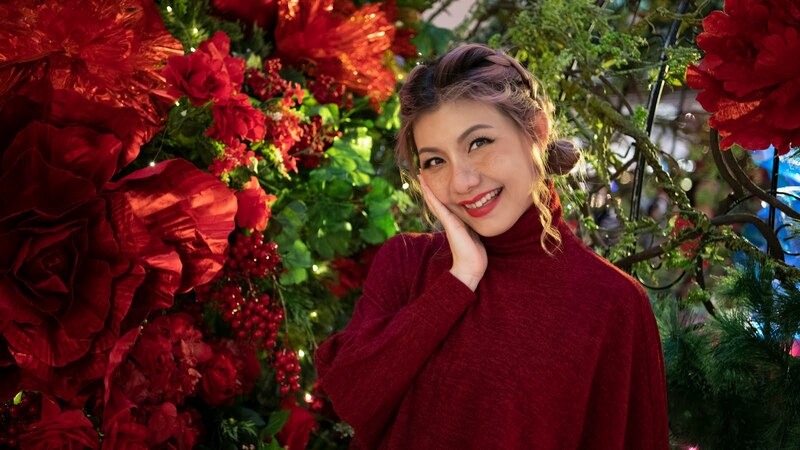 How was your Lunar New Year celebration? As for me, I'm so busy with visiting relatives and friends (bai nian) and also temples. One of my favourite temple is FGS Dong Zen temple at Jenjarom. Their magnificent CNY Lantern & Flora Festival is what I look forward to for some insta-worthy photo opportunities. The Lantern & Flora Festival happening for the entire 15 days of Lunar New Year has become a tradition for many local folks to pay a visit to the temple. Check out some of the amazing photos I took the other day!